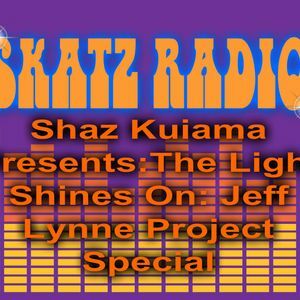 My first Light Shines On show on Skatz Radio. This show was broadcast live on Wed Sept 10th, as a countdown to Jeff Lynne performing live in Hyde Park, London, England. On this show I showcase projects Jeff was involved in. Take a listen to hear tracks from ELO, Move, Idle Race, Traveling Wilburys, Tom Petty, Roy Orbison, Beatles, George Harrison, Julianna Raye, Brian Wilson, Rossif Sutherland, The Chads, Del Shannon, Duane Eddy, Joe Walsh, Regina Spektor and much much more.